Synopsis: Mobster Archie Stryker breaks into the Laserium Corp. to rob the company's vault, but is thwarted by ROM. "I come seeking evil! I come to exact revenge!" says ROM as he bursts into the building. ROM kills a Dire Wraith who is collaborating with Stryker's gang in a human disguise, further fueling the fear and mistrust of ROM as an apparent killer of humans. ROM returns to Clairton, West Virginia, where he visits Brandy, but the two are interrupted when her boyfriend calls in the local police. 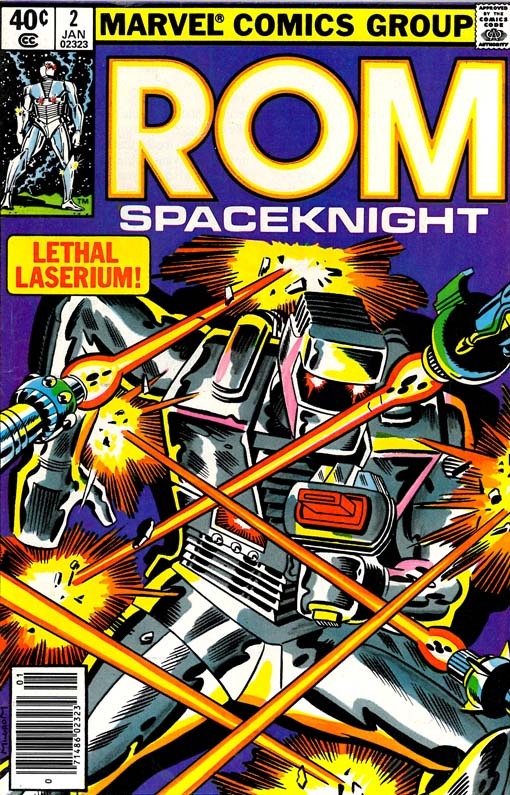 ROM battles the police and slays Chief Rogers, who he discovers is another Dire Wraith, further solidifying the increasingly widespread belief that he is a murderous robot.